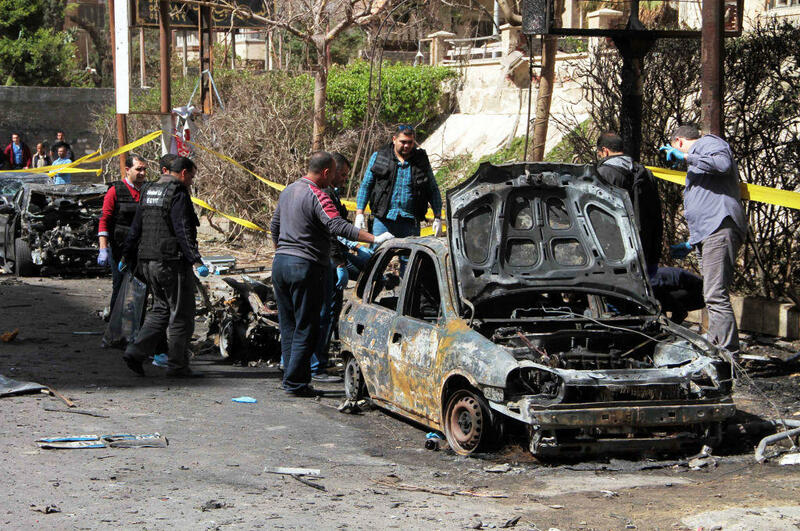 CAIRO -- A bomb placed under a nearby car exploded Saturday in the coastal city of Alexandria as the city security chief's convoy passed by, killing two policemen and wounding four others, the Interior Ministry said. Local media reports said Gen. Mostafa al-Nimr survived the explosion and he was seen on a local TV channel in good condition while inspecting the area of the blast shortly after it took place. Residents close to the clean said they heard a loud blast Saturday morning. "I suddenly heard a very strong explosion and ran towards the street, but I retreated out of fear," Mohamed Ismail told Reuters news agency. "I thought the building would collapse and kept checking on its pillars." Egypt has for years been struggling to contain an insurgency spearheaded by a local affiliate of the extremist Islamic State of Iraq and Syria (ISIS) in the turbulent Sinai region but attacks on the mainland have also occurred.